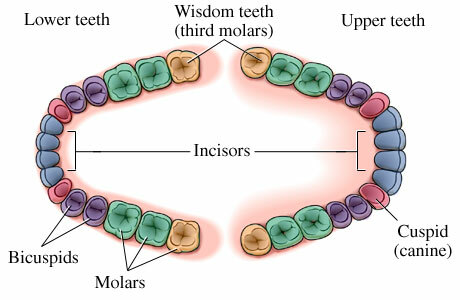 Wisdom teeth, or third molars, were given their colloquial name because they appear later in life, usually between the ages of 12 and 25. The late appearance of these teeth is what led people to believe that they appeared because of a person’s maturation and wisdom. While they do not have anything to do with how smart the patient is, but they do need to be removed often due to impaction. Impaction is when there is not enough room for the new teeth in the mouth. To extract a patient’s third molars requires surgery, and like any other procedure, a patient wants the best, and in this case the best is a top dentist. A top cosmetic dentist knows the best way to remove the wisdom teeth and the best way to deal with any possible complications. The best time to remove wisdom teeth is before any major changes take place in the jaw. To avoid unnecessary damage to your jaw line and surrounding teeth, wisdom teeth are removed before the age of 30. Surgery is no joke, and as a responsible person you want to make sure that the dentist cutting into you is not incompetent, but can perform the procedure correctly. Possible complications that may arise during a third molar removal procedure include, but are not limited to: delayed healing of the dry socket, infection, perforation of the lining of the sinuses in the upper jaw, damage to the teeth, or a temporary or permanent alteration in the sensation of the lower lip, chin or tongue. These complications may be easily dealt with, but only a top dentist may be able to deal with any of the possible, yet rare, complications that can arise. Such complications are a fractured jaw, a reaction to the anesthesia that can result in temporary facial paralysis or effects from the pain medications. You have to make sure you have the best dentist working on your procedure so that he or she can deal with any complications that arise during surgery, but also any that can arrive after. Any excessive bleeding after 24 hours or swelling after 48 hours can indicate an infection of complication that needs your dentist’s attention right away. The top dentists in the field will be available to you 24 hours 7 days a week in case of emergencies. can you please tell me what to eat after wisdom teeth removal recovery time?